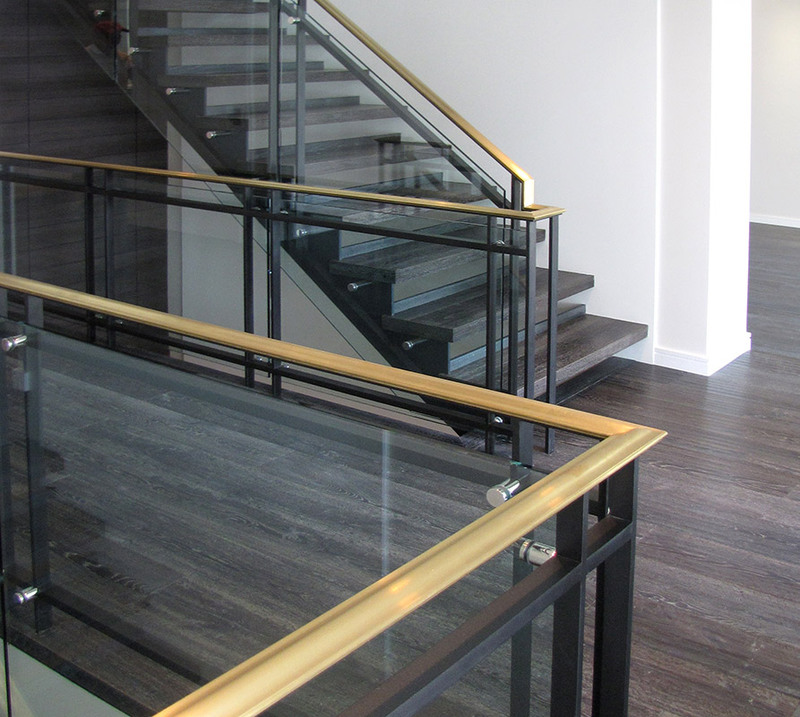 This striking, modernist railing encompasses three levels; a glass catwalk, a brass capped handrail with meticulously joined miters, and a steel staircase that was treated with a hand rubbed graphite finish. The project also included a floor to ceiling guard that had a handrail which ran from the basement to the first floor. Many hours went into both design and planning so that every detail was perfectly executed during installation.